JNTUH MCA I, II, III, IV, V Semesters Regular/Supply Exam Fee Notification Aug 2016, jntu hyderabad mca end examination fee notification 2016. 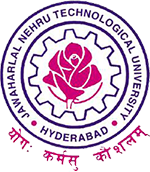 Sub: JNTUH, Hyderabad-Examination Branch-MCA Examinations Aug/Sept-2016-Notification – Instructions to the Principals – Reg. The Notification is hereby issued for the II & IV semester Regular University examinations and Supplementary University examinations of I ,III& V semesters of MCA course. You are requested to note the following schedule of events associated with the Regular/Supplementary Examinations of MCA course. These Examinations are scheduled to be held in the month of Aug/Sept-2016. The students who appear for the above examinations commencing from 29-08-2016 [I & II Semesters], 22-08-2016 [III & IV Semester] & 15-02-2016 [V Semester] are to note that the on- line registration for University examinations will be carried out as per the time schedule.